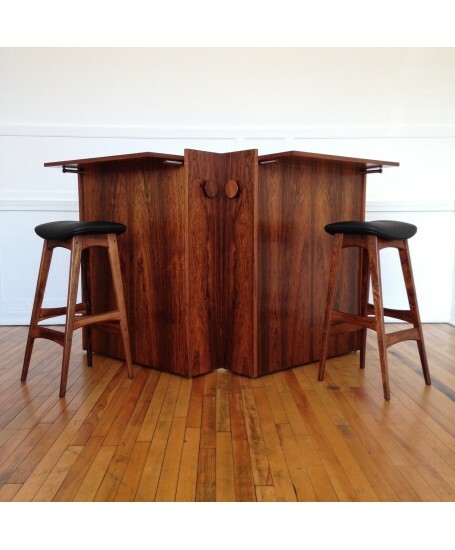 A 1960's rosewood bar designed by Erik Buch for Dyrlund, and pair of solid rosewood counter bar stools designed by Johannes Andersen for BRDR Andersen. The quality of the bar is staggering. 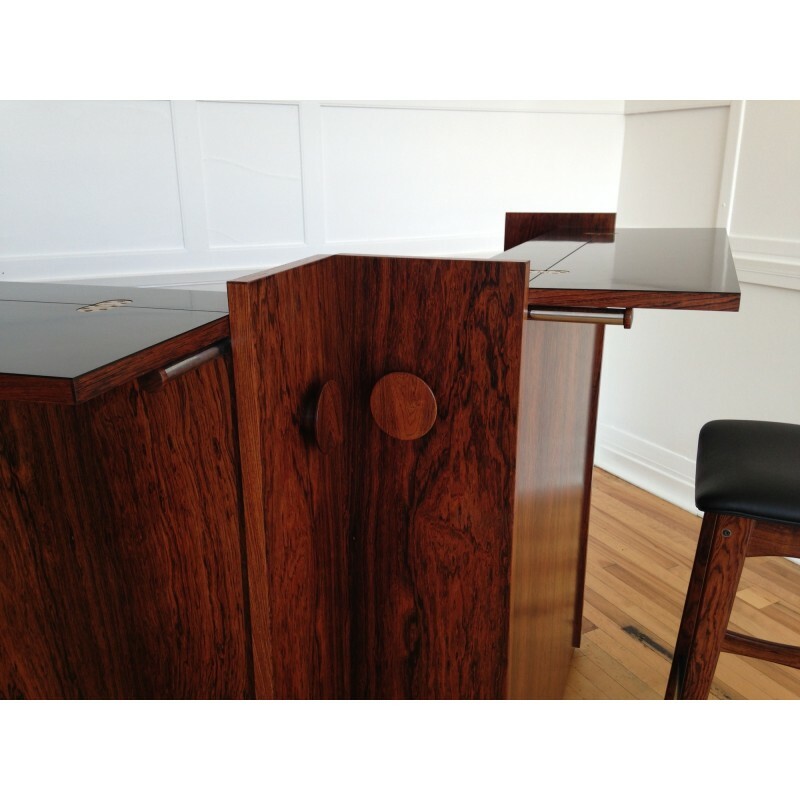 Please enjoy the many images we have uploaded, although they unfortunately do not do the piece justice, the design/craftsmanship is just out of this world. 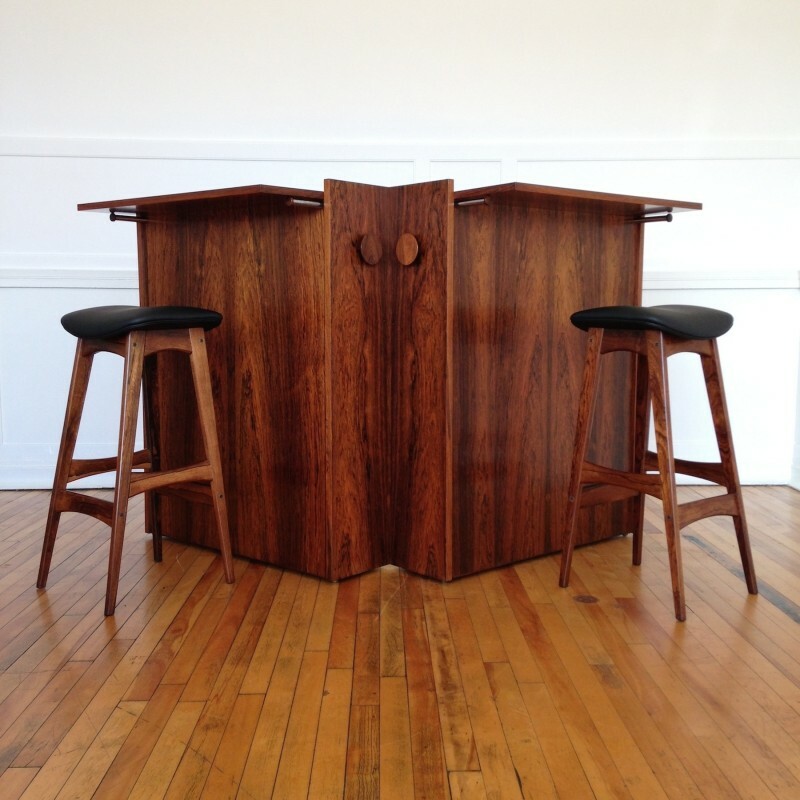 Almost equally as incredible, is the condition of the bar. There are a few extremely light scratches on the top (only visible under certain light conditions and mentioned only for completeness), but other than this, it's pretty much in like new condition inside and out. Quite incredible that this piece is circa 50 years old, and an absolute credit to it's previous owner. It's also totally original (including the castors - very rare), and is complete with the original stainless steel ice bucket (stamped 'Made in Denmark' to the underside), cup/saucer, and working lock and key. 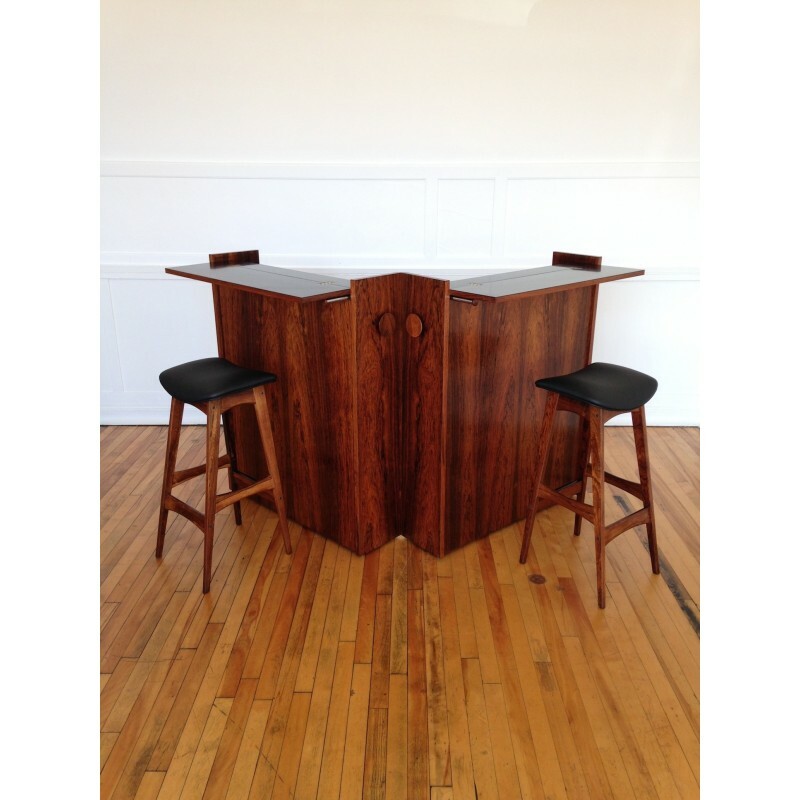 The bar has been thoroughly cleaned inside and out, and the rosewood exterior carefully nourished and waxed/polished. Please note, the bar is exceptionally heavy, I would estimate between 80-100 kg. 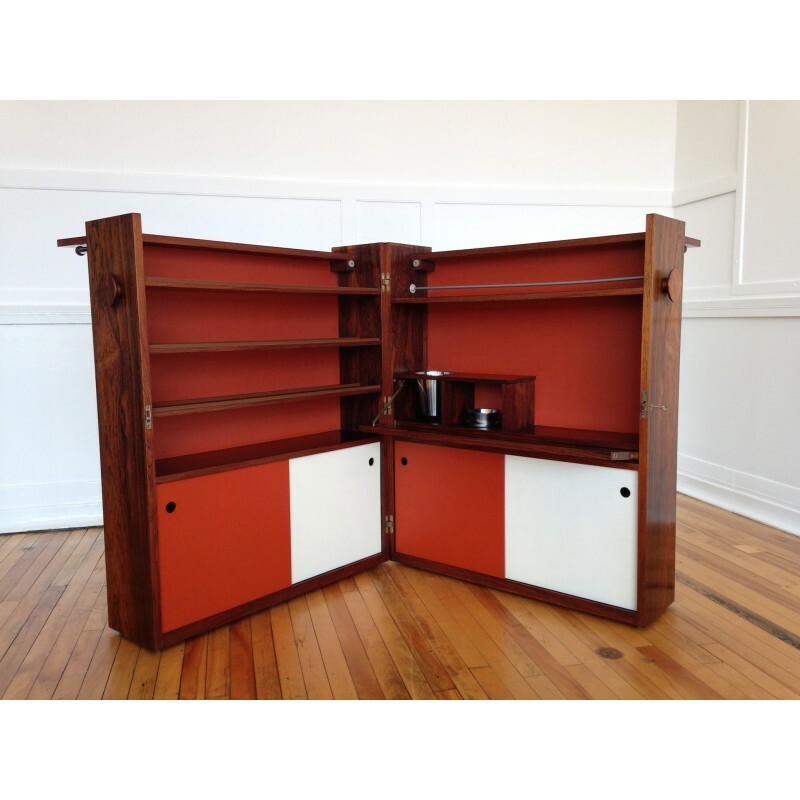 It dismantles very easily by unscrewing the three hinges that connect the two main compartments, which will help considerably with transport and getting it through tight spaces. 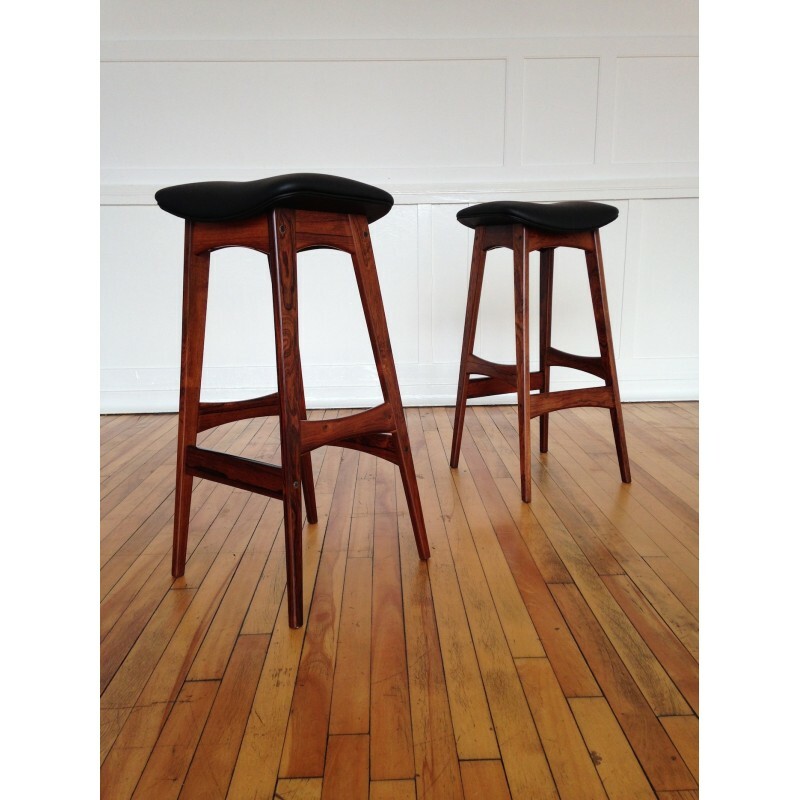 The Johannes Andersen barstools have a solid rosewood base with the most beautiful grains we've possibly ever seen, and the original black metal protected foot rests. The bases have been carefully cleaned and waxed/polished, and are also in astonoshing original condition, with barely a mark to be found anywhere. 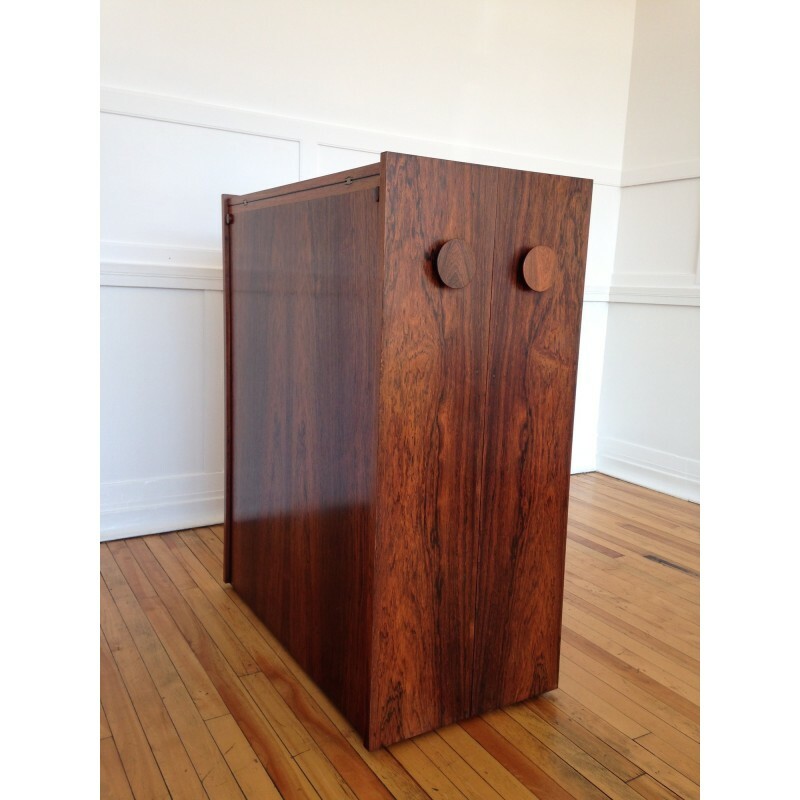 There are perhaps just a couple of areas where the wood has faded a little, but nothing that in any way detracts from the overall beauty of the item. 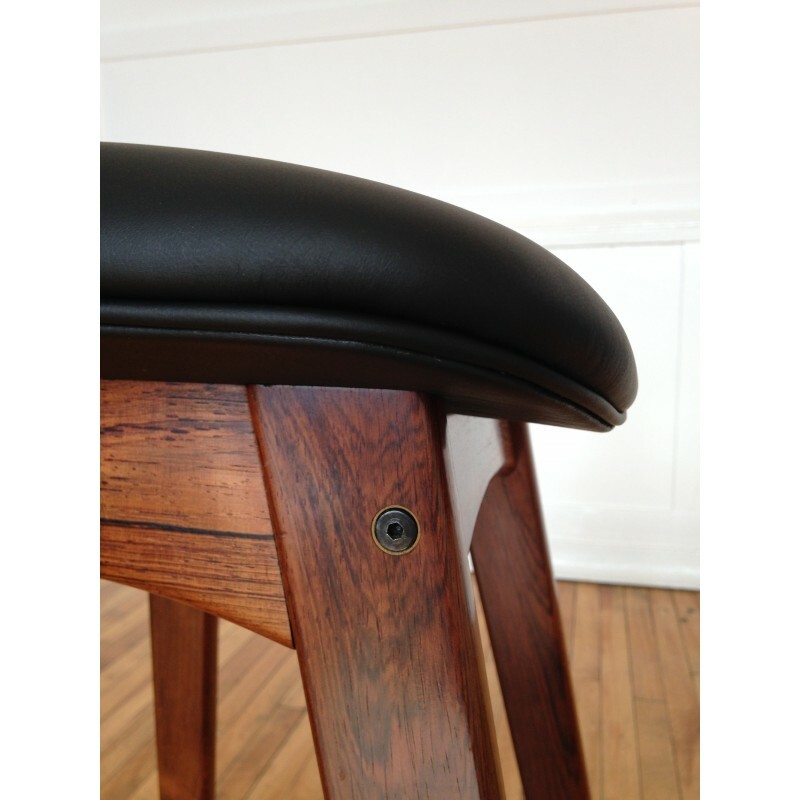 The seats have been completely stripped and fully re-upholstered as per the original upholstery design in very high quality black leather. The original Danish Control labels and BRDR Andersen stickers have been re-applied in the same position to the underside.